The following information is no longer current. To find out the latest information about the Main Road level crossing removal please click here. To find out the latest information about the Furlong Road level crossing removal please click here. We are getting on with the removal of Victoria’s most dangerous and congested level crossings, announcing that four more level crossing removals will begin this year, including Main Road and Furlong Road in St Albans. 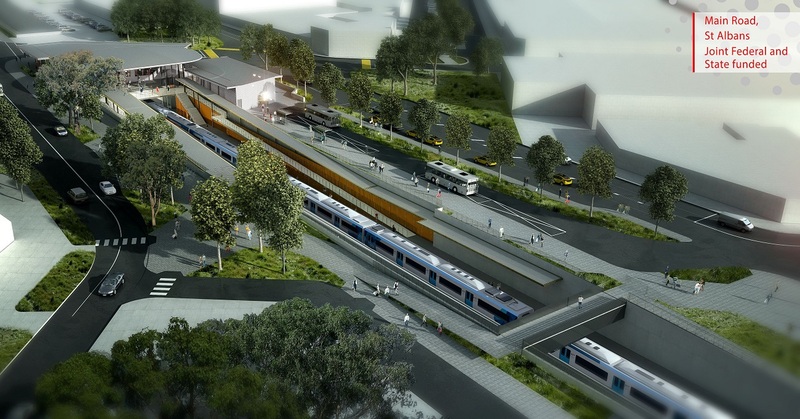 Premier Daniel Andrews has announced that the package of works will cost around $480 million, including $151 million from the Australian Government, and will create nearly 200 jobs. 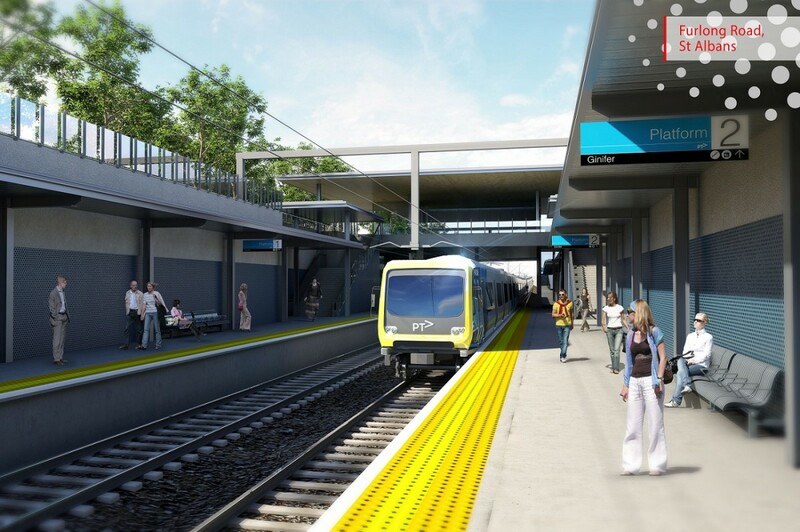 Following an extensive tender process, a consortium including Leighton Contractors, Aurecon and Hyder have been awarded the contract for the removal of the level crossings. St Albans and Ginifer stations will have its rail lowered below the road and re-built with platforms below street level, significantly reducing congestion above ground and improving safety for all road users and pedestrians. Boom gates are down for up to 35 minutes at Furlong level crossing between 7:00am and 9:00am, and for as much as 65 minutes at Main Road crossing. We made a promise to remove both level crossings at Main Road and Furlong Road and we are delivering on this promise. I’m proud of the Andrews Labor Government for delivering this in full.